Welcome to perhaps the most anticipated FAF event of the year! 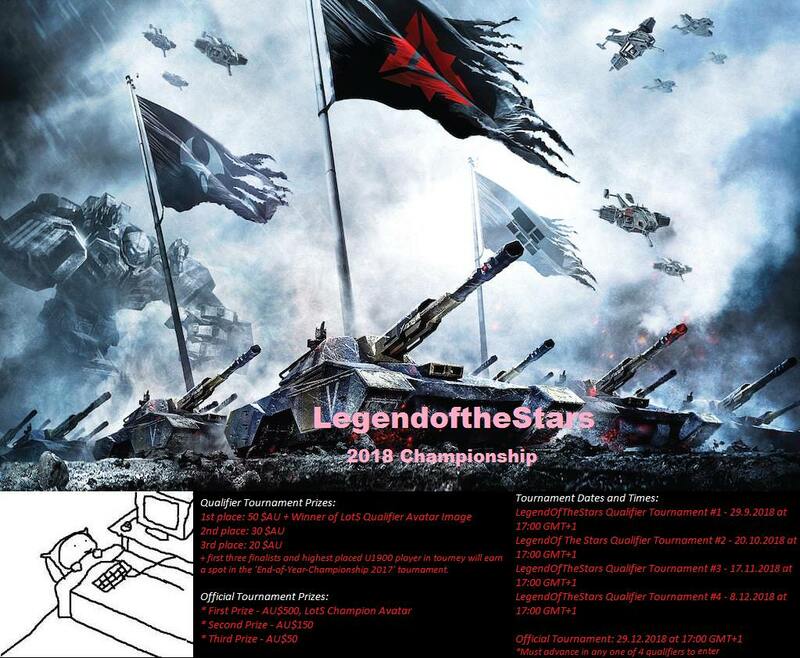 The tournament, as you would expect, is sponsored by LegendoftheStars. For those that aren’t familiar with him, he’s one of the illustrious few with pockets as deep as his love for the FAF community and we’re always happy to see him support the competitive scene year after year! The tournament structure hasn’t changed. It will, as always, feature the best 16 FAF players with those 16 players being decided through various qualifiers. There will be 4 qualifiers to decide the players and the winners of each qualifier will get varied cash prizes with first place getting the LotS Champion avatar for the coming year. The people responsible for directing this tournament will be me alongside theeggroll and moonbearonmeth. theeggroll and moonbearonmeth will be hosting and dealing with issues that pop up during the tournaments while I will handle the transaction issues and more meta concerns about the tournament. Please do not use this thread to sign up for the various segments of the tournament, those segments will have their own threads for that. This thread will be for pointing out specific concerns as well as for information related to the Official Tournament. + first three finalists and highest placed U1900 player in tourney will earn a spot in the 'End-of-Year-Championship 2017' tournament. Good luck to everyone and may the best commanders win! I had to push the first qualifier back a week because a server patch is being deployed on the original week. I didn’t want connection issues riddling the first qualifier. This isn’t the post to sign up for the qualifiers. Are there four separate attempts to qualify for the main tournament? Yes, 5 technically if you count the backup tournament. Do you have a tournament poster so i can share this news on FAF facebook ? Nope, haven’t had any time to make one sadly. I can do it If you allow me to do so. I have a masters in fine arts and graphic design.